It feels good to get back into a gym routine this past month. After falling behind during the crazy holiday season we’ve gotten back into the rhythm of after work work-outs. Before I really worked out consistently I had no idea about protein bars or any kind of ‘bar’ for that matter. I always avoided them thinking it was only for those big muscly guys at the gym. I first discovered Lara Bars after seeing so many bloggers promote them/eat them as a regular snack. In Canada however, they are more than double the price (anywhere from 2.00-2.50$) Then I discovered them when I was across the border shopping at Fred Meyer where they are only $1.00 each!! I was so excited, I think I bought one of every flavour. One of my favourite flavours was Key Lime Pie. Simply made with coconut, dates, nuts and lime. I’ve made Protein Pods before, but always used some sort of nut butter as the binding ingredient, never lime or lemon juice. I thought it was about time I tried to make a key lime pie replica. The only problem with Lara Bars is they don’t contain protein (although I think they’re newest ones might) and really the ingredients are so simple you can definitely make your own at home for a lot less. 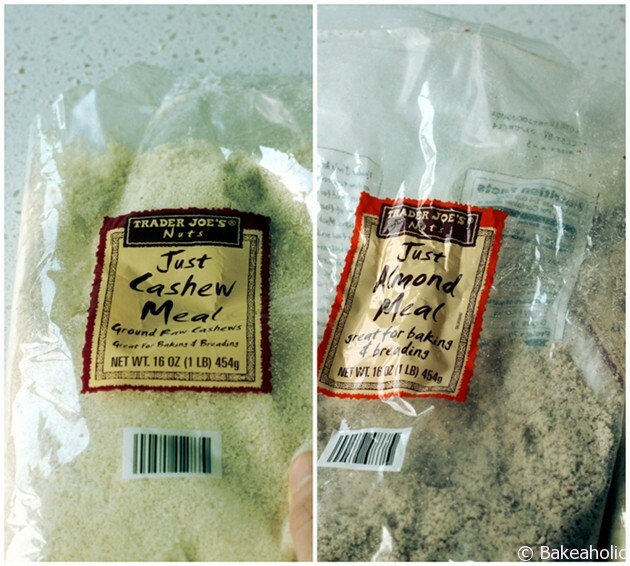 The base is the same as my regular protein pods, only I’ve added some cashew meal as I discovered it at Trader Joe’s one shopping trip over the border as well. They form up easily and store in the fridge – they’re a great bite thats slightly tart and slightly sweet. 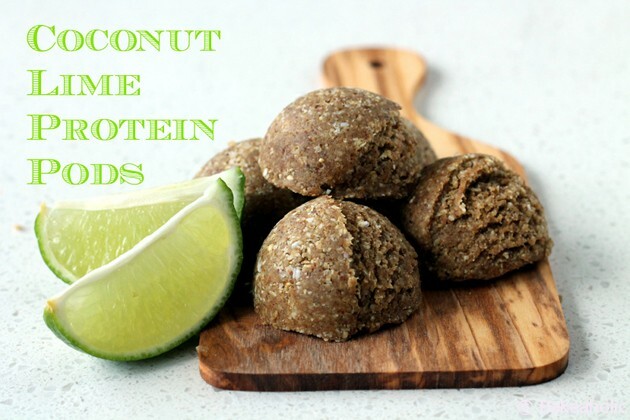 Nutty Lime Coconut Protein Pods. Tart & Sweet. Pulse oats, almond meal and cashew meal in a food processor until they form fine crumbs. Add protein powder, pulse again. Add the dates, coconut and finally lime until well combined in the processor. Dough should come together. Scoop into pods/balls using small ice cream scoop.